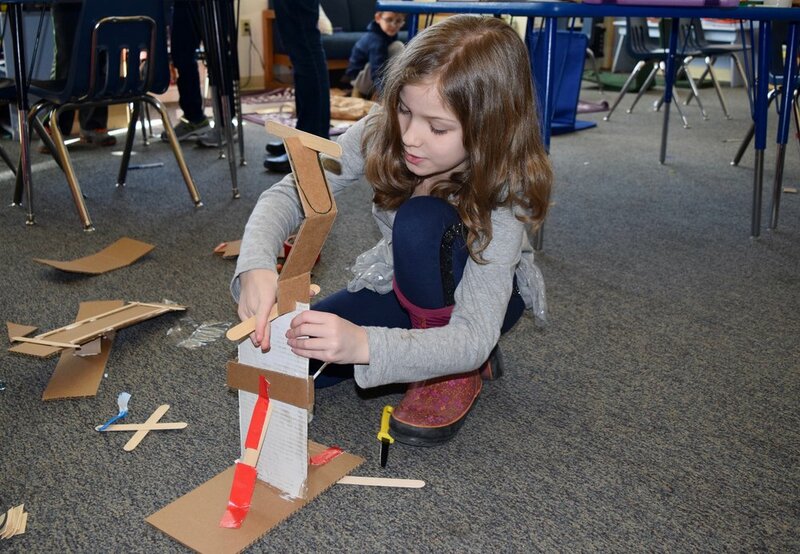 Atrium third graders recently finished a three-week pilot program with Parts and Crafts, a makerspace in Somerville that encourages creativity combined with experimentation. At Parts and Crafts, students are not told how to create; they figure it out themselves. Designed to help the students understand engineering concepts through hands-on experience, the program began in mid-January and met twice a week. Students started with by making their own creations, before collaborating to make one large group project. Third graders were immediately delighted as they began making their own individual projects. Some students worked alone, while others teamed up with friends to work together. As time passed, they either began new projects or added to the ones they had previously created. 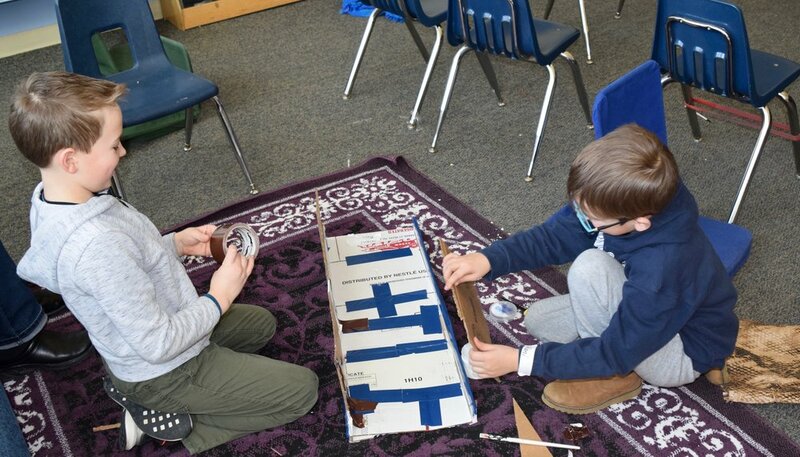 In addition to using their imaginations to design their projects, they also had to figure out how to add levers, pulleys, wheels and other engineering elements to their creations to make them work. With the help of Bissrat and Mike from Parts and Crafts, experimentation was an enlightening experience instead of a frustrating one. Projects varied from pinball games to towering sculptures, with some motorcycles and ramps thrown in. 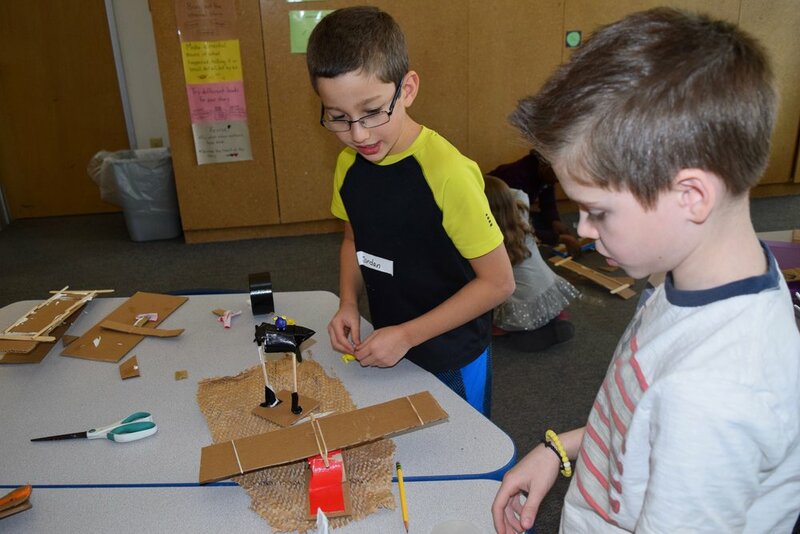 For the final project, the class worked together to create a "Jaboonetta," which by the kids' definition is "a bunch of parts with slides," or as third grade teacher Veena Hari explained, "a really big fidget." The students loved the program and can't contain their excitement talking about it. Oona said, "It was so much fun! They really helped us. I learned a lot–especially about patience." Elizabeth added, "It was amazing! We got to make our own stuff. I learned that you can build anything with just cardboard and a few other pieces. People could make whatever they want."